Close your eyes and imagine the racing games of yesteryear. Most people probably think of Mario Kart 64, Crash Team Racing, or some other third thing. If you loved those games and wished you had a new game that played like those classics, this might be a decent fit. I’m not going to say it is exactly the same, but it is definitely something that popped into my mind when I entered the first race. It gives a fresh spin to the game, however, and I would say it adds to the experience. However, there are a couple issues that prevent this game from being a “must own”. As I said, this game evokes some parallels with some classics like Mario Kart and Crash Team Racing. I say that, because I feel that if you compare it to modern racing games it would be woefully outclassed. Also, the art style really feels like a remastered game, which I feel is a good thing. Too many games fall into the trap of trying to look old and falling short, which makes the game look gangly. I don’t know if this vibe was intentional, but it definitely pays off. The music is unobtrusive, but if you don’t like it or the other sound effects, the game comes with some pretty solid controls for different volumes. That is an oddity in console games (from my experience), so hopefully it catches on. This game has some fairly standard deviations from the standard racing formulas. The game doesn’t count laps, but instead count the number of fatalities or survivals. I would say a decent combination would be Crash Team Racing, Twisted Metal, and Speed Runner. 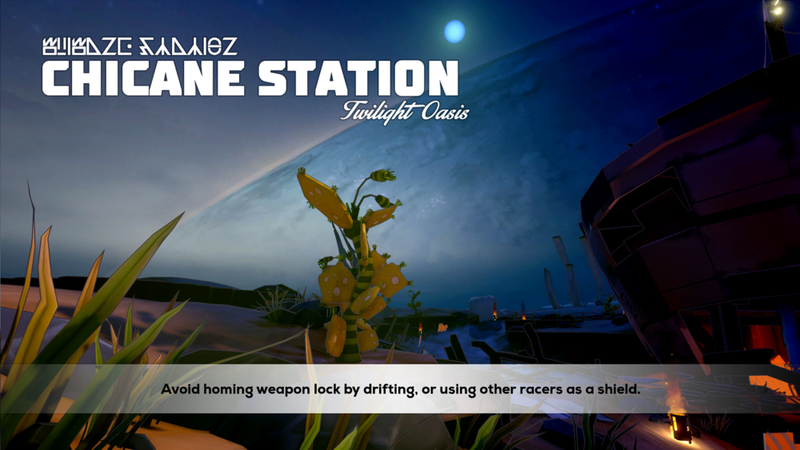 The goal is to stay alive while eliminating the other racers. There is a plethora of weapons, but in my opinion the best ones are a static discharge orb that turns your car into a battering-ram, and a seeking missile that almost always finds its target. However, this is where the game comes up short. The vehicles handle like race tires on ice. Every turn is a fight to stay on the track, and the camera tends to not help you on that front. Get too far in the lead, and the camera is a hindrance. It gets worse. There is an admittedly useful weapon that drops an oil slick on the road, that coats the vehicle’s tracks/tires/whatever and makes it neigh impossible to steer. That makes sense, but since the steering is already pretty loose, it only serves to further aggravate. 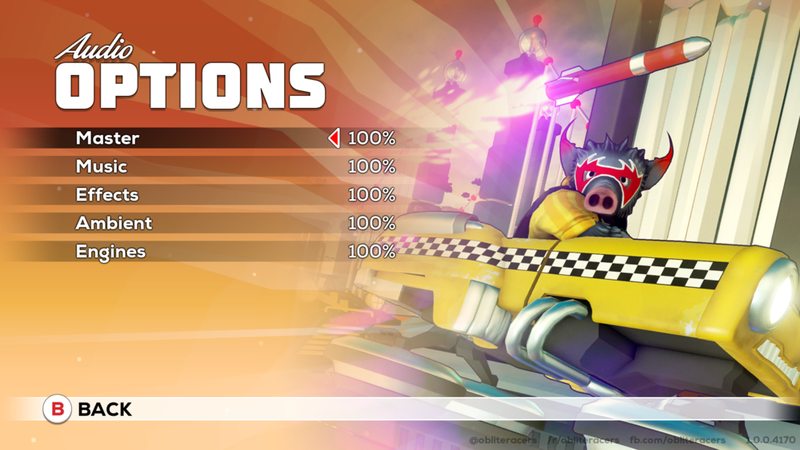 Add in 15 more racers, and the game can become a bumbling mess of discovering which character you are, only to careen off the edge due to the slick controls. Overall, a solid 4/5 game, but could use some high level polish. Maybe a future patch will tweak the handling so the cars feel more in control, but it isn’t strictly necessary. The game gives a good throw-back to the classics as-is, and is worth it if you want a Mario-Kart-ish experience on your XBox One Console.